"Please wait until the Captain turns off the Fasten Seat Belt sign. This will indicate that we have parked at the gate and that it is safe for you to move about. Please take care when opening the overhead compartments because items may have shifted. If you can reach your cellphone without getting into your carry-on bags you may turn it on now." The plane comes alive! Ding, boing boing, ta-ta-da, ring, Hallelujah! Each activated cellphone come to life, receiving all of the important messages, texts and Facebook updates that transpired during the flight. Passengers look around sheepishly, especially the little man of the cloth whose phone was singing hallelujah, then hurriedly look at their screens or start pressing the buttons to make contact with the outside world. …but of course that part wasn’t in the ringtone. I paid for that one and also for “Need You Now”. I really like that song but embarrassed myself when I was at a serious meeting and my phone went off and sang “I'm a little drunk and I need you now”. Right now I have a factory ringtone that sounds like a robot. He says, “You have an incoming call”. I think it’s funny but I can’t ever hear it. Think about it. Wouldn’t it be interesting to know why people choose the tones they choose? What does that say about their personality? The government wastes spends a lot of money on silly things. I think that analyzing the character traits attached to custom ringtones would probably fall into that category. If that’s the case I could probably land a research grant. And for somewhere around $50,000.00 I’m sure I could find a connection. In the meantime, listen to those ringtones. Look at the people attached and see if you can figure anything out! 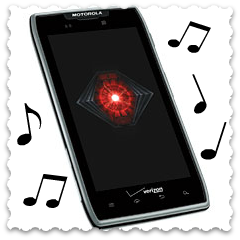 What’s your ringtone and why do you have it? That’s the essential question. I’m still working on that secret project. It’s about finished and I’ll take pictures and send it off. I wound some yarn today for a Hitchhiker scarf/shawl. I got the yarn on the trip to Utah. 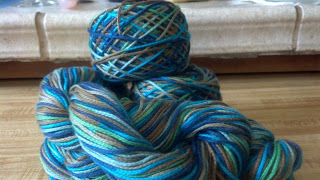 It’s Noro Lily and there was a sample, in another color, that sold me. I'm anxious to start! It’s funny about that yarn shop. We were on the way home from the trip to Utah this summer and we passed through Minturn, Colorado. There on the corner was a yarn store. 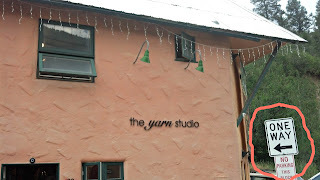 I said, “Yarn store”, and Alan swerved into the parking lot. He’s learning! Ironic that there's a One Way sign there! I hear something, kind of a mechanical weird sound. Oh yeah, it’s my phone! I really need to get a better ringtone. Then, I have two pairs of socks and Derecho to finish. There's always something! Wait - was that a TETN when your phone went off? I think I remember that! Ha! Love that your hubby didn't think twice & pulled in to the yarn store, he's learning! 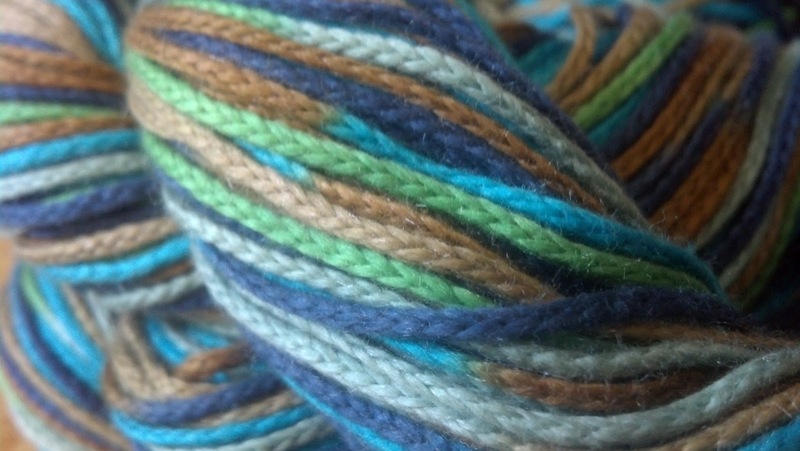 the Noro yarn is just delicious. Gorgeous colours.